We were discussing in our previous post about the pump performance curve and we have also seen the difference between positive and non positive displacement pumps. 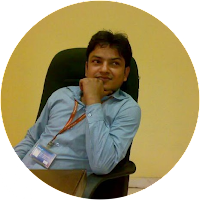 After completing my engineering, i had joined an organization and that organization was in chemical manufacturing business. 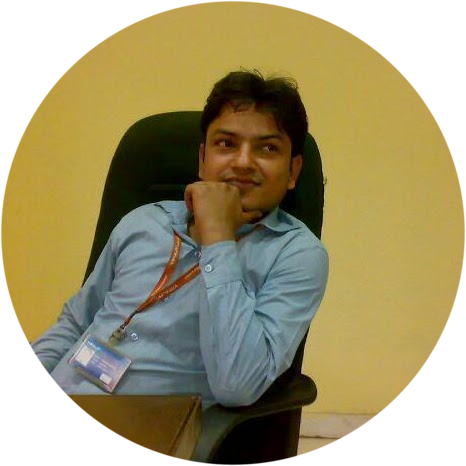 I was assigned there to analyze one pipe flow problem and to produce the outcome in front of the team leader and i had recalled the concept of head losses in pipe flow at that time to produce the required details. Today we will see here the head losses in pipe flow. Determination of head losses is very important in pipe flow problems and also in designing of a pumping system. So if you need to calculate the head losses in pipe flow, this post will be a very important key for you. There are two types of head losses in pipe flow system i.e. Major head loss and Minor head loss. Head loss in pipe flow system due to viscous effect i.e. due to friction will be termed as major head loss and will be indicated by h L-Major. Head loss in pipe flow system due to various piping components such as valves, fittings, elbows, contractions, enlargement, tees, bends and exits will be termed as minor head loss and will be indicated by h L-Minor. 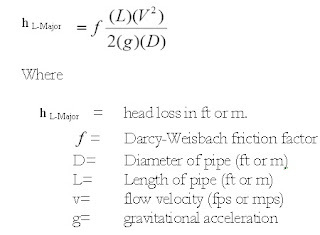 Therefore, complete head loss or pressure loss in pipe flow will be summation of major head loss and minor head loss and will be indicated by h L.
Major Head losses in pipe flow problem will be calculated with the help of Darcy-Weisbach formula as mentioned below and this Darcy-Weisbach formula will be used to calculate the major loss in pipe flow, it does not matter that pipe is horizontal, vertical or on inclined plane. 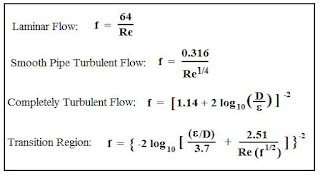 Friction factor as mentioned above will be determined on the basis of type of flow i.e. 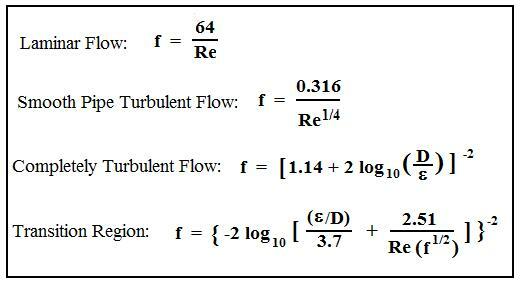 Laminar flow, Transition flow and turbulent flow. 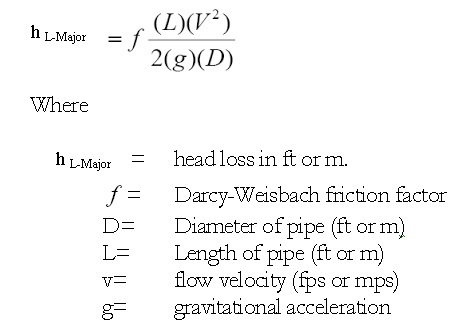 We can refer below equations in order to determine the friction factor. As we have discussed above minor head losses are pressure losses in pipe flow system due to various piping components such as valves, fittings, elbows, contractions, enlargement, tees, bends and exits. Where K is termed as minor loss coefficient and values of minor loss coefficient, K for various piping components or fitting are mentioned in following table.